The euro pushed higher against the weaker dollar on Tuesday as a string of poor U.S. data pressured the greenback lower. EUR/USD rose 0.65% to 1.1260 from 1.1186 late Monday. 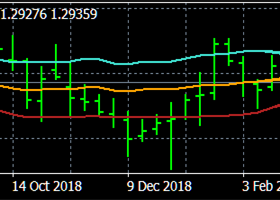 EUR/GBP was last at 1.5206, up 0.42%. 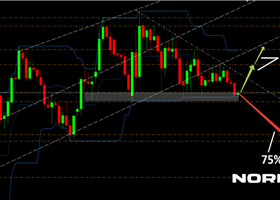 EUR/JPY was last at 135.26. Earlier Tuesday, data from the U.S. showed that the country's trade deficit widened by the most in five months in August as exports dropped. The Commerce Department reported that the trade gap rose 15.6% to $48.3 billion, from $41.9 billion in July. Exports dipped 2% to the lowest level since October 2012, while imports rose 1.2%. The U.S. dollar index, which measures the greenback’s strength against a trade-weighted basket of six major currencies, was last down 0.40% to 95.84. In other news, the International Monetary Fund again slashed its global growth forecasts. In its half-yearly update on the health of the world economy, the Washington-based body predicted expansion of 3.1% in 2015, 0.2 points lower than it was expecting three months ago and the weakest performance since the low of the downturn in 2009. “Six years after the world economy emerged from its broadest and deepest postwar recession, a return to robust and synchronised global expansion remains elusive,” said Maurice Obstfeld, the IMF’s economic counselor. The IMF’s world economic outlook (WEO) forecast the U.S. would have the most robust growth of the leading G7 industrial nations in both 2015 and 2016, at 2.6% and 2.8%, respectively. The U.K. is expected to be the second-fastest growing G7 nation, although output growth is predicted to slow from 2.5% to 2.2%. None of the other G7 countries – Germany, France, Italy, Japan and Canada – is predicted to post growth as high as 2% in either 2015 or 2016. Meanwhile, fresh data from Germany signaled the country's economy may be hit by slowing global growth. Industrial orders in Germany slid by 1.8%, according to the economy ministry, dashing expectations of a 0.5% rise. The decline was mainly due to falling demand from outside the euro area, according to the ministry (which also attribute some of the fall to holidays). Orders from non-euro countries slid by 3.7%, while domestic orders shrank by 2.6%.